Caught in Reflections, originally uploaded by denmar. I was on flickr and I was just looking at photos so I had to go out and shoot. The sun was setting so I was really afraid of the lighting at James Gardens. Luckily I power walked it in time and got some solid shots. 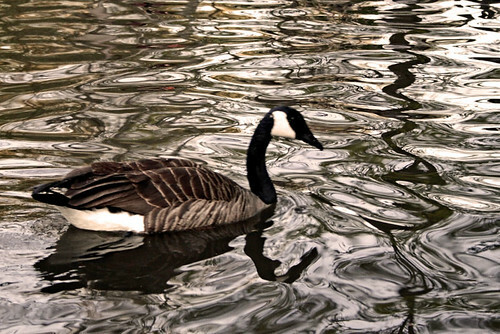 I love reflections and I’ve always wanted to do a shoot of a Canadian Goose differently so it was the best opportunity. Anyways I’m tired, take care.